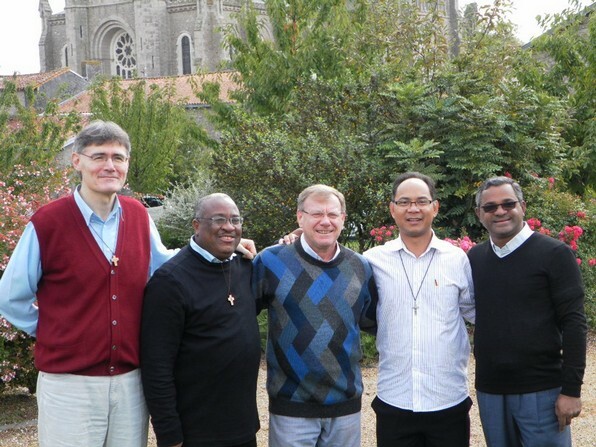 SAINT LAURENT-SUR-SÈVRE, France - The members of the new General Administration (2017-2023) of the Company of Mary have just finished the two-days retreat (24-25 September) preached by Father Paulin Ramanandraibe, Rector of the Basilica of Saint Louis de Montfort in Saint Laurent-sur-Sèvre. The general theme - proposed by Father General, Luiz Augusto Stefani - of these days of reflection is "Authority, Governance and Service". This allows Father Paulin to give his meditations based on, among other things, the Instruction of the "Congregation for Institutes of Consecrated Life and Societies of Apostolic Life" entitled "The Service of Authority and Obedience" which is published on 11 May 2008. Here are the titles of the four reflections presented by Father Paulin: (1) on authority - "by what authority do you do these things? ", (2) on governance - "you have one Teacher, and you are all brothers", (3) on service - "the Son of Man did not come to be served, but to serve, and to give his life as a ransom for many" and (4) Mary, model of the gift of self ". Each theme is deepened by making the link especially with the Constitutions or with the Acts of the General Chapter 2017. 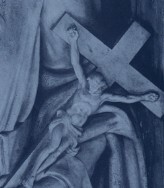 These two days of reflection, which is lived just before the first meeting of the new General Council is concluded with the celebration of the "Consecration of oneself to Jesus Christ, Incarnate Wisdom, through the hands of Mary" at the tombs of Father de Montfort and Blessed Marie-Louise in the Basilica. Father de Montfort announced the "Reign of Jesus through Mary" in the Holy Spirit by serving "his poor neighbor" (H 22) and "renewing everywhere the spirit of Christianity by renewing the promises of baptism" (Rule 56). He completed his missionary adventure on earth here in Saint Laurent-sur-Sèvre. Now, the whole Montfortian Family has the privilege of continuing their mission in our context today. 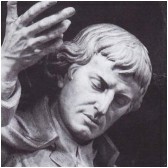 Father de Montfort and Marie-Louise now carry out their mission from "Heaven", to animate the Church and humanity towards its true destiny. They intercede for all of us. Good mission... because the mission continues! "Almighty God, who by sending the Holy Spirit into the bosom of the Virgin, formed in her and through her your Son Jesus, hear our prayer. Help us also to become true sons of Mary so that, generated, nourished and educated by her, we may come to the fullness of the maturity of Christ who lives and reigns for ever and ever. Amen".